Welcome to Kishan Infrastructure Pvt. Ltd. Rajkot Gujarat India. 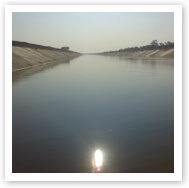 Leading construction company engaged in construction of DAMs, Bridge, Roads, Canals, Tunnels, etc. DAM Construction, Bridge Construction, Canal Construction, Tunnel Construction, Heavy Construction, General Contractor, Government Contractor, Construction Company with quality construction projects. Kishan Infrastructure Pvt. Ltd. is one of the areas leading construction companies. Our firms' stability - and emphasis on client advocacy - has enabled us to help our clients reach their goals. We work in concert to provide integrated expertise in development, planning and construction. Super Passage at Banas Dist. Asphalt Mixes & Asphalt Rubber Binder. © 2010 Kishan Infrastructure Pvt. Ltd. All Rights Reserved. 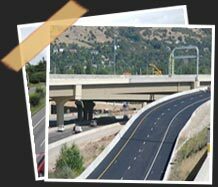 Kishan Infrastructure engaged in construction of DAMs, Bridge, Roads, Canals, Tunnels, etc. DAM Construction, Bridge Construction, Canal Construction, Tunnel Construction, Heavy Construction, General Contractor, Government Contractor with quality construction projects.